I’ve been super slack with my travel tips on the blog mostly because there’s not enough hours in the day and I probably need to get into some kind of routine with my posts. Thought I’d get back into the swing of things & post up on the destinations I’ve already written tips for in Air New Zealands Kia Ora Magazine (shouts to my girl Evandra who very kindly grabbed copies of the mags I have featured travel tips in) and start off with a real fave – Hawaii. I’ve had a lot of people call & email me over the years asking general questions & advice on holidaying in Hawaii so I’ve tried to cover the most FAQ as well. I’ve been to Hawaii for work 3 times – stayed in Waikiki, the North Shore, the Big Island, Kauai & Maui. I also lived in Maui for 6 months in a little surfer town called Paia back in the day. LOVE Hawaii! 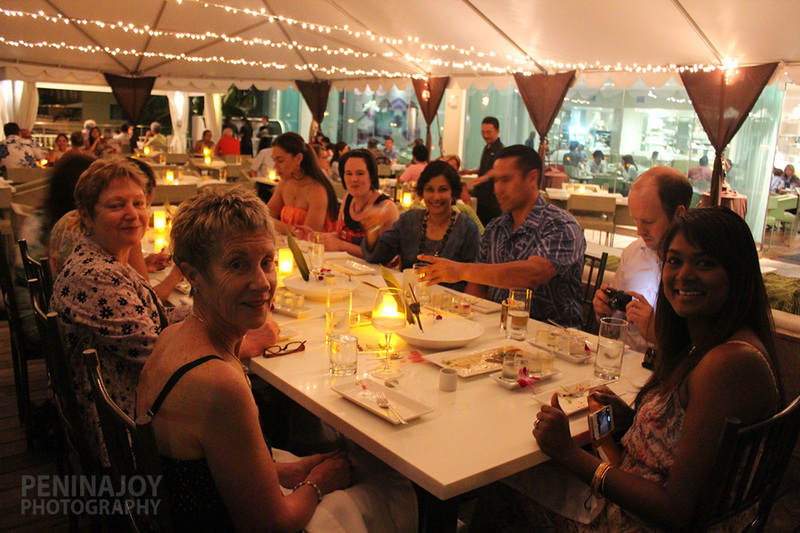 The people there are always friendly, weathers awesome, island life is THE life & you get the best of both worlds – sun, sand, beach, the laid back island life/vibe combined with western world luxuries & GREAT shopping! This last time I went to Hawaii it was really hectic with work commitments but I was able to stay on an extra 2 days/1 night with my cousin Futi and his wife Annie who enlisted their friend Helene to show me around the island and get me out of Waikiki! Was so good to see them again! Massive thank you to them and also my old school friend William Numanga who spent an afternoon driving me round Payless shoe stores trying to find shoes that fit my hamo feet lol! 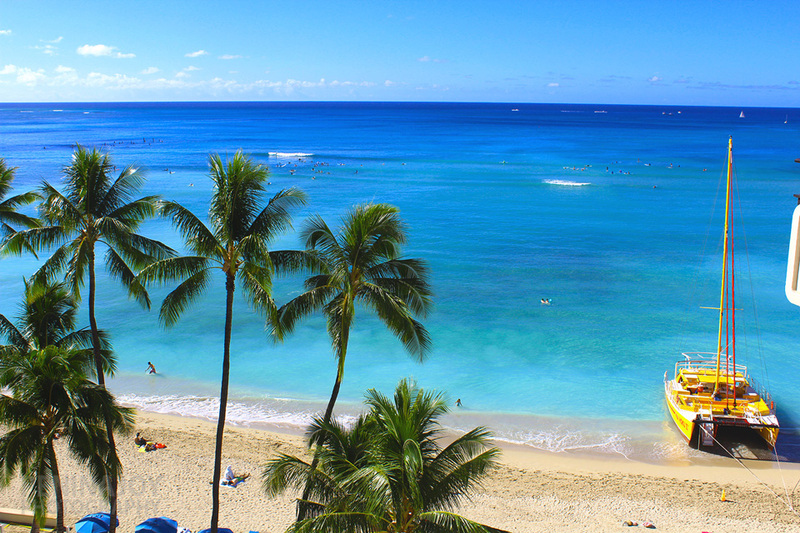 Luxury resorts, stunning scenery, vibrant island culture, breathtaking sunsets – Hawaii is the ultimate escape. You can fly direct from Auckland on both Air NZ and Hawaiian Airlines services. 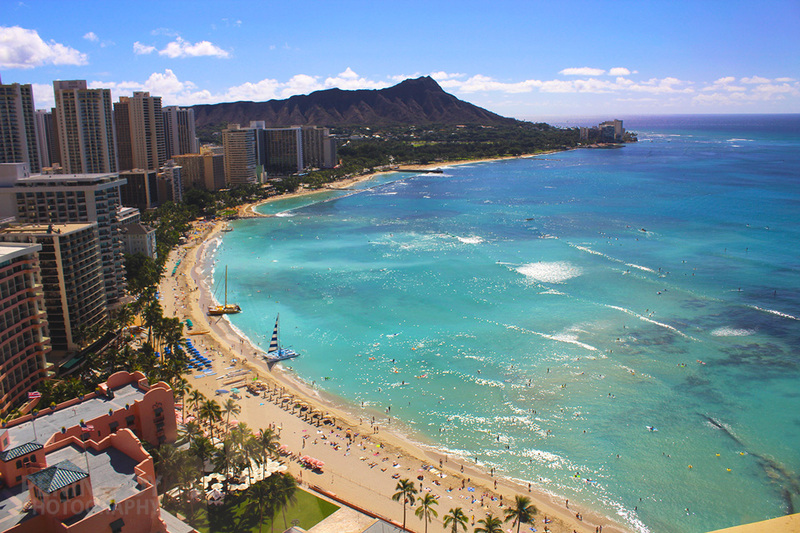 Transfers are usually about US $8 – $10 one way from Honolulu airport to Waikiki accommodation. If you’re travelling by yourself or with one or 2 other people this would be the less expensive option but if you’re travelling with a family of 4 or more or in a group, a cab is about US $30 one way and would work out cheaper. There are no shuttle services that will transport you from Honolulu airport to accommodation on the North Shore. You’ll need to take a cab or rent a car. Driving in Hawaii is not too difficult, you’ll of course be on the right hand side of the road driving left hand steering but it’s not a maze of freeways like LA, however – It’s not one road that goes around the island like a lot of the South Pacific islands, Hawaii does have freeways and you could almost think you were in LA when you’re stuck in traffic there! If you’re dying to get some selfies in for IG while you’re there but don’t want to be landed with a ridiculous bill when you get home I’d recommend getting a T-Mobile sim while you’re there rather than roaming. There are no mobile phone service providers in Waikiki itself you’ll need to go to Ala Moana shopping Centre and from memory they’re located on the 2nd floor. Megan Singleton over on Blogger at Large gives her US Data Mobile tips here that I found really useful the last time I was in the US – I was there for nearly 3 weeks so bought the $60 plan and then a friend of mine who was going up to Hawaii after me got some use out of it as well. OHANAs & the Aqua properties are good value for $$ and are of a reasonable standard. OHANAs are the lead-in/moderate grade accommodation in the Outrigger chain and the OHANA Waikiki West is a definite NZ favourite. 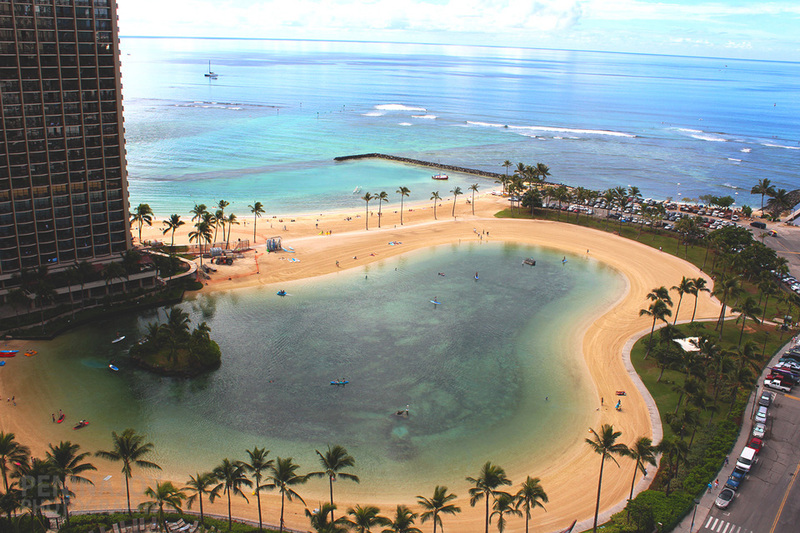 They also have great bonus offers such as the free trolley rides to Ala Moana shopping centre. Aquas are more of a boutique style and have a range of property types & grades but the majority would be moderate grade. Aston has a great range of apartment style properties. Mostly 1 bedroom but the Aston Waikiki Sunset also has 2 bedroom suites. You then have the Outrigger, Starwood & 4/5 star beachfront resorts which are all situated on prime spots along Waikiki Beach. Location wise all your budget & moderate grade properties will either be located a couple of blocks back from Waikiki Beach on Kuhio Ave or further back towards the river. Your high end accommodation will be along Kalakaua Ave or beachfront on Waikiki Beach. Personal favourites – Moderate Grade I’d go with the Shoreline Hotel Waikiki (a JDV property), Aqua Aloha Surf or the HI Waikiki Beachcomber. Luxury Grade I’d stay at The Modern Honolulu, Sheraton Waikiki OR Moana Surfrider and I love the Outrigger Reef on the Beach too. I’d also definitely recommend (if you have the time &/or $$) to get up to the North Shore for at least 2 or 3 days – especially if you can’t get out to one of the neighbouring islands – and stay at Turtle Bay Resort (you may recognise this property from the movie ‘Forgetting Sarah Marshall’) it’s beautiful up there and every room has an Ocean View! On the North Shore you’ll really get to feel and experience the ‘real’ Hawaii. View out to the man made beach at the Hilton Hawaiian Waikiki Village hotel from The Modern Honolulu balcony. * Pearl Harbour – well worth the visit. You’ll learn about the history of the area and also get a visit to the USS Arizona Memorial. If you take one of the tours, you’ll be taken up to the National Cemetery of the Pacific (featured in the movie Battleship) and to different sites around the city of Honolulu. * Ali’i Kai Catamaran – Buffet style food, Polynesian entertainment and stunning views of Waikiki Beach once you’re out on the water. You might catch a beautiful sunset on your way back as well. 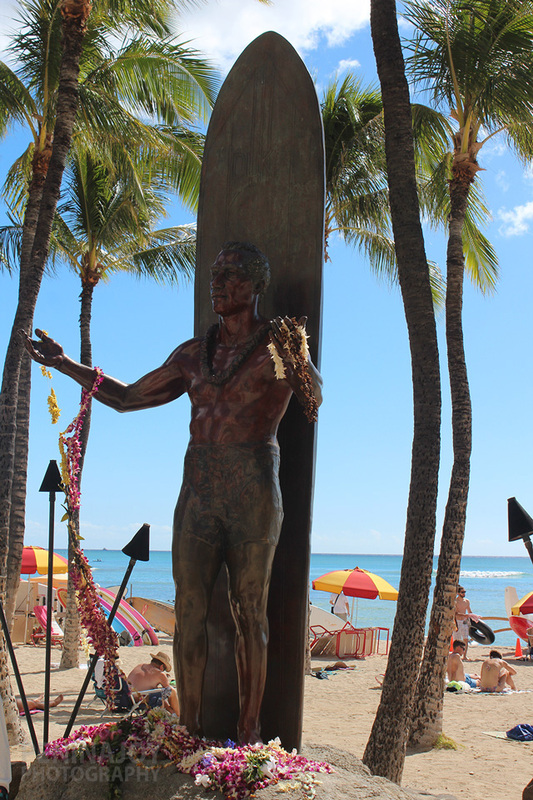 * Waikiki Beach – if you want to do more than just flop & drop -Waikiki Beach Services offer Outrigger Canoe Surfing Rides, surfing lessons or you can hire a longboard and go Stand Up Paddling …… so gutted I didn’t get time to go stand up paddling when I was there last. EATING in Hawaii – there’s so many great places to choose from but the 2 highlights from my last trip was our Fine Dining Experience at The Modern Honolulu which features the exclusive Morimoto Waikiki Restaurant, home to chef Masahuru Morimoto known to millions as the star or Iron Chef and Iron Chef America. OMG! Sooooooo good! 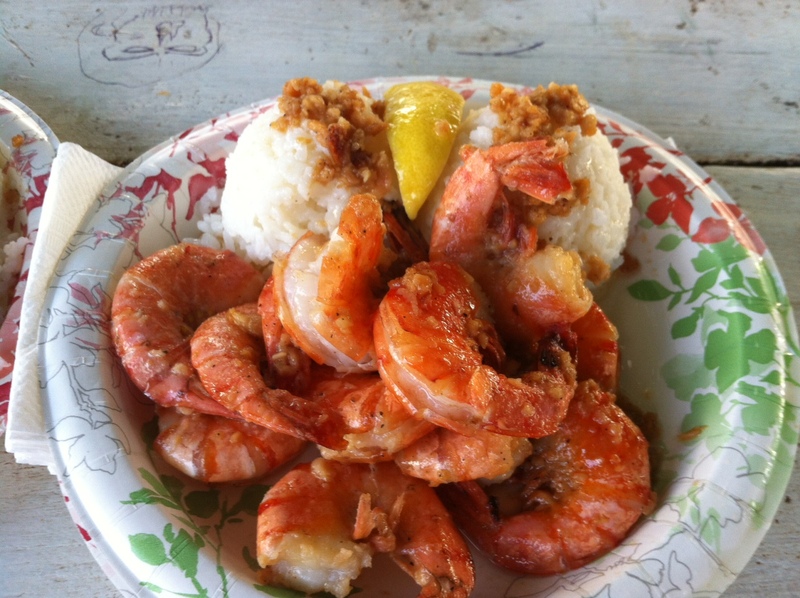 And to the other extreme but just as good – the food trucks on the North Shore – The Shrimp! Wow! Hits the spot I tells ya! My old high school buddy William also introduced me to Malasadas (not sure of the spelling?!) – Portugese doughnuts – we came across a food truck selling them near the Waikele outlets. SOOO good and really filling as well! Lastly, I ALWAYS get asked about shopping and it would have to be one of Hawaiis unique features. Other South Pacific islands may be comparable in terms of beautiful beaches, tropical weather and friendly people but they can’t touch Hawaii’s great shopping! 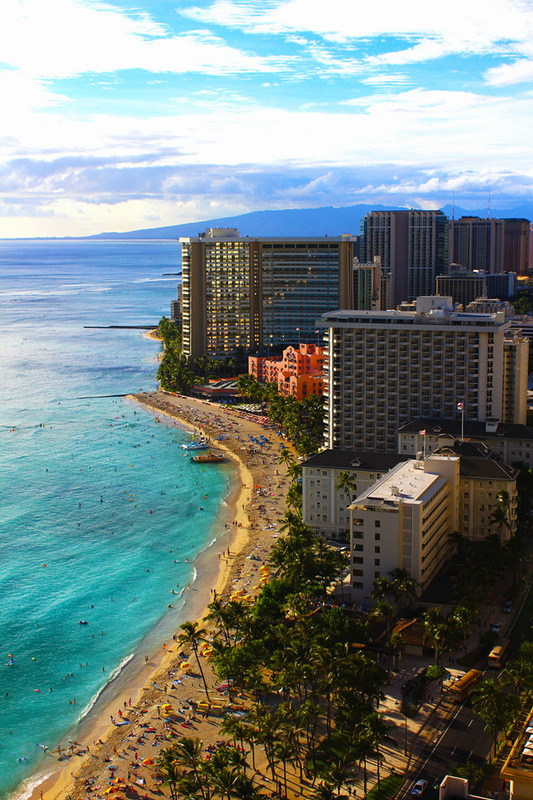 * Ala Moana is the largest shopping mall in Hawaii and is very easy to get to. 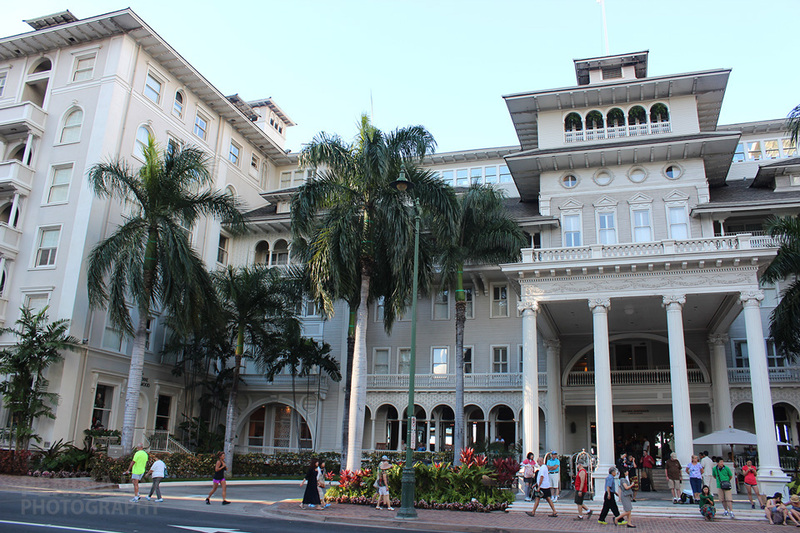 It’s in walking distance of a few of the Waikiki Hotels located near the Hilton Hawaiian Waikiki Village and there is also the Pink Trolley which does the loop through Waikiki and up to Ala Moana. * A favourite shopping complex of mine is Ross Dress for Less – it has all the labels at discounted prices plus shoes, accessories, bags – you name it! They now have a new store on Seaside Ave in the heart of Waikiki! Walmart is also great for bargains. * The Waikele Premium Outlet centre is very popular but you’ll need a rental car to get there as it is 30 – 45 minutes away. If you don’t have time to holiday out on one of the neighbour islands, Roberts Hawaii runs day tours from Oahu out to your choice of island. You’d definitely need to book in advance as there are inter-island flights involved. These day tours cost about NZ $500 per person. Hawaiian Airlines is the main inter-island airline carrier. I would say Kauai is the least ‘touristy’ island out of the 4 main islands (Oahu, Maui, the Big Island & Kauai) visitors go to holiday. 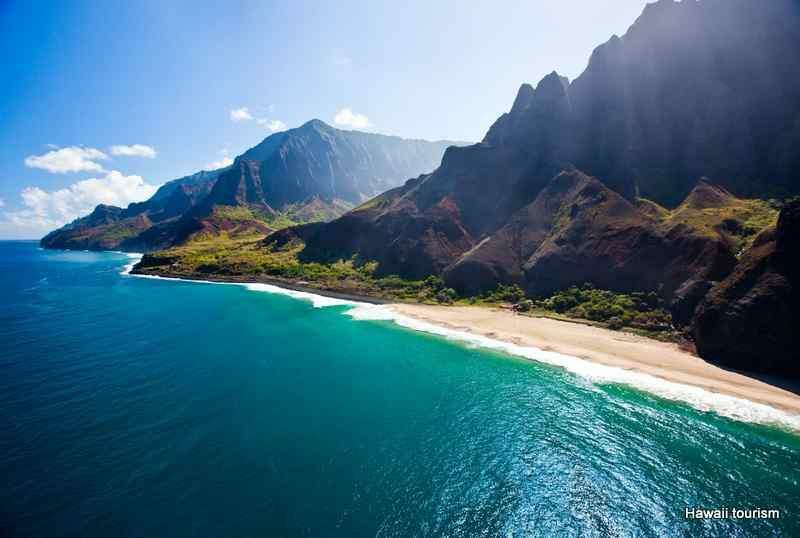 It’s really laid back, you get a real feel for the local, Hawaiian life and if you’re wanting a spot to get away from it all and just chill – Kauai would be ideal. Accommodation wise I’d recommend staying on the South side of Kauai where the likes of the Sheraton Kauai & the Kiahuna Plantation Resort are located. The South side of the island is where the best beaches are located. The beaches on the East side of the island where a string of condominium style properties are situated are not swimmable – too rough/not safe. Sightseeing – I’d try the Hawaii movie tour. It takes you to all of the iconic movie locations filmed on the island including Jurassic Park, Pirates of the Caribbean, Tropic Thunder & Gilligans Island. You also get to stop off and have lunch at ‘Tahiti Nui’ which is where George Clooneys film ‘The Descendants’ was filmed. (Btw have you seen The Descendants? Definitely recommended – I’ve seen it a couple of times now and it’s one of those totally relatable stories set in Hawaii with a real local Hawaiian feel to it) George Clooney as a Hawaiian descendant is also believable. I was asked to write the Big Island tips for Kia Ora magazine as well but I’ve only been there once and we didn’t even stay overnight – we were straight In n Out burger lol! My cousin Chano Mitchell used to live there though so I enlisted his help doing the write up. Thanks cuz! One of the biggest draw cards of the Big Island is the Kilauea Volcano, one of 5 that make up the island and one of the most active on earth. You can witness lava from Kilauea flow into the ocean as you drive around the island in some places. You can find out about Hawaiian history at the City of Refuge Park and visit Kealakekua Bay where Captain Cook was killed, shop at the Hilo Farmers market, try some famous Kona Coffee or explore the town of Waimea on horseback. Waimea is the largest town in the interior of the Big Island and is home to ranches, cattle and cowboys – it’s unlike any other place in Hawaii! Go swimming at Hapuna Beach which is one of the largest white sand beaches on the Big Island, snorkelling at Old Airport in Kona and experiencing a luau or island night which includes a buffet feast & a showcase of Hawaiian culture and dance. My pick would be the Island Breeze luau which is held at the Courtyard by Marriott King Kamehameha’s Kona Beach Hotel. I’d recommend staying on the Kohala Coast or the western side of the island where the beaches are better. I love Maui – I lived in this little hippy town called Paia on the north shore of Maui when I was about 18 and we’d hitch-hike in to Kahului to do our shopping. In our spare time we’d all hang out at the beach and try catch waves or chill out tanning. Paia doesn’t really cater to visitors though. 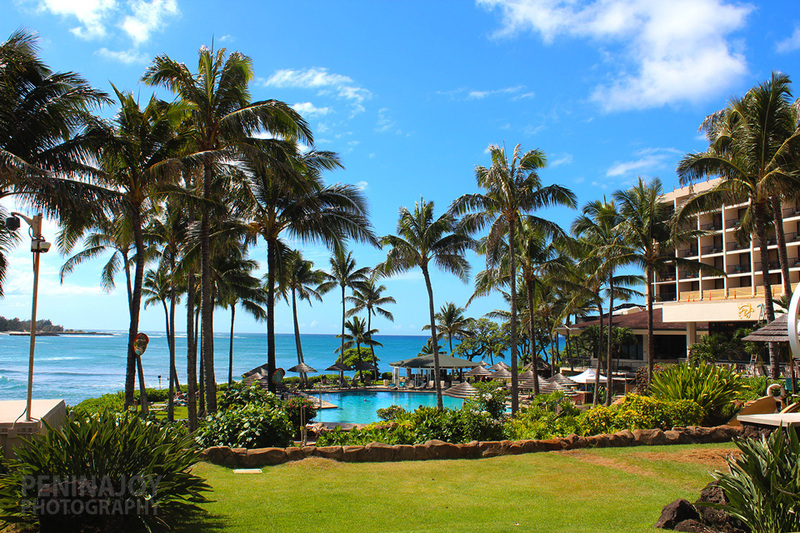 You’d need to head down to the Ka’anapali Beach, Kihei or Wailea resort areas for accommodation. The Ka’anapali Beach area would be the most popular choice for visitors. My personal favourite hotel would be the Sheraton Maui. It’s a stunning property with half of it built into surrounding cliff & rock. 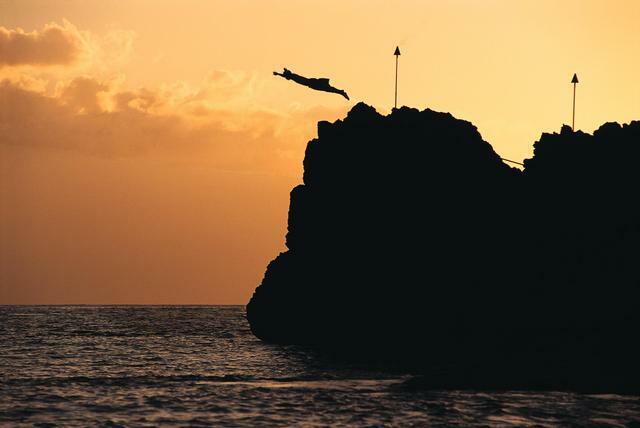 If you head down there at about 5pm you should be in time to catch the cliff diving ceremony which takes place every night at sunset. If you’re on a budget then my picks would be the Kaanapali Beach Hotel and the Outrigger Maui Eldorado always has great deals as well. For cheaper accommodation options – Kihei has a lot of great moderate & affordable condominium style properties. I really like Kihei. 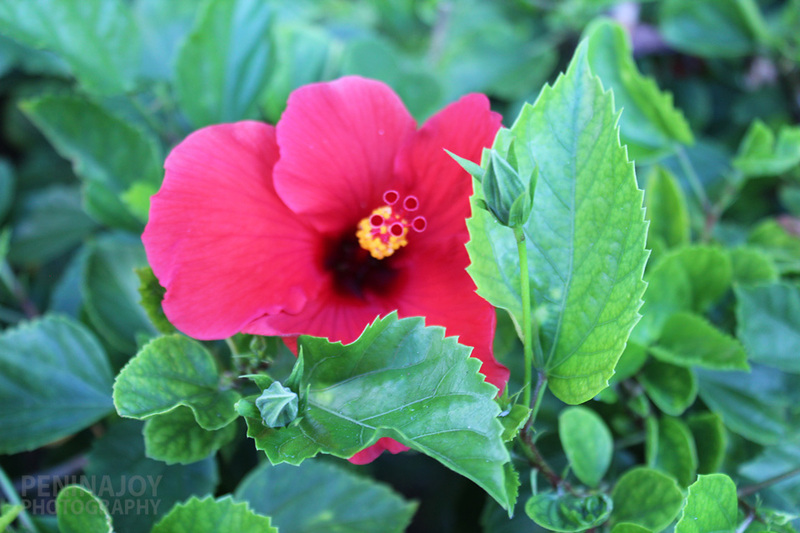 It’s not as touristy as the Ka’anapali resort area and you’ll find a lot of the locals hang out and live in Kihei. I know there’s quite a big Samoan & Tongan population that live there as well. Wailea is also quite close and we often recommend clients stay in Kihei if they’re there to attend a wedding but can’t afford the Wailea resort prices. Lahainas a cute little town about a 10 – 15 minute drive away from the Ka’anapali Resort area and has a number of boutique style shops as well as great cafes, restaurants and nightlife! If you get tired of laying out on the beach you could head to Haleakala Volcano National Park to witness the stunning sunrise or take a drive down the Hana highway which takes you through rainforests, waterfalls and gives you fantastic ocean views. If you’re planning to go to Hawaii soon and have specific questions hit me up in the Comments section and I’ll try my best to answer them. Lastly, huge thank you again to my cousin Futi, his wife Annie, their friend Helene for showing me around Oahu – also shout out to my buddy Willz – was great to catch up and meet the fam & Grace again. Here’s a little highlight video of the day my cuz Futi & the fam showed me around – thaaaaaanks cuz! Need to come back and meet baby! You captured my island home beautifully!